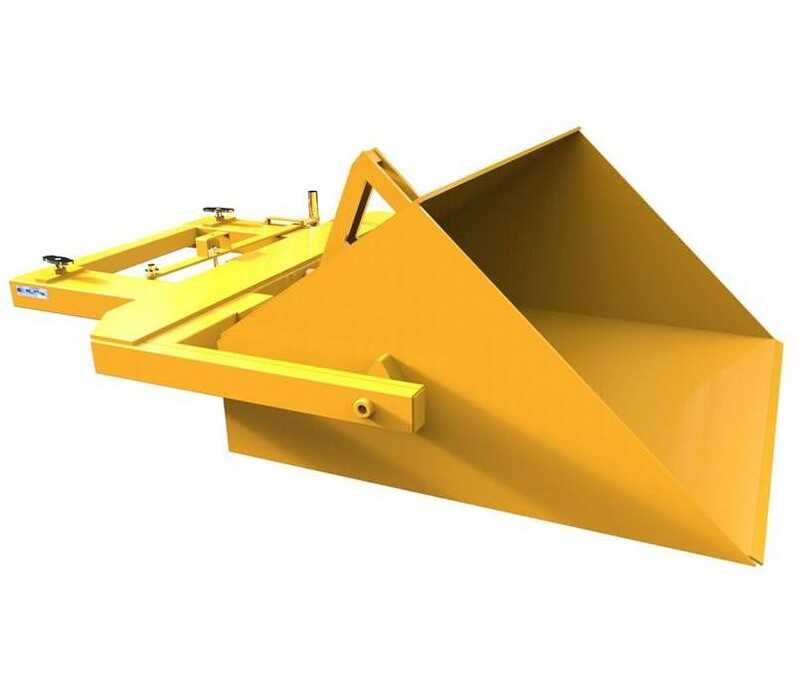 This forklift scoop gives all the same characteristics of our standard Multiscoop but with the additional benefit of being calibrated and stamped by the Trading Standards Department. The ideal forklift scoop for point of sale measurement. 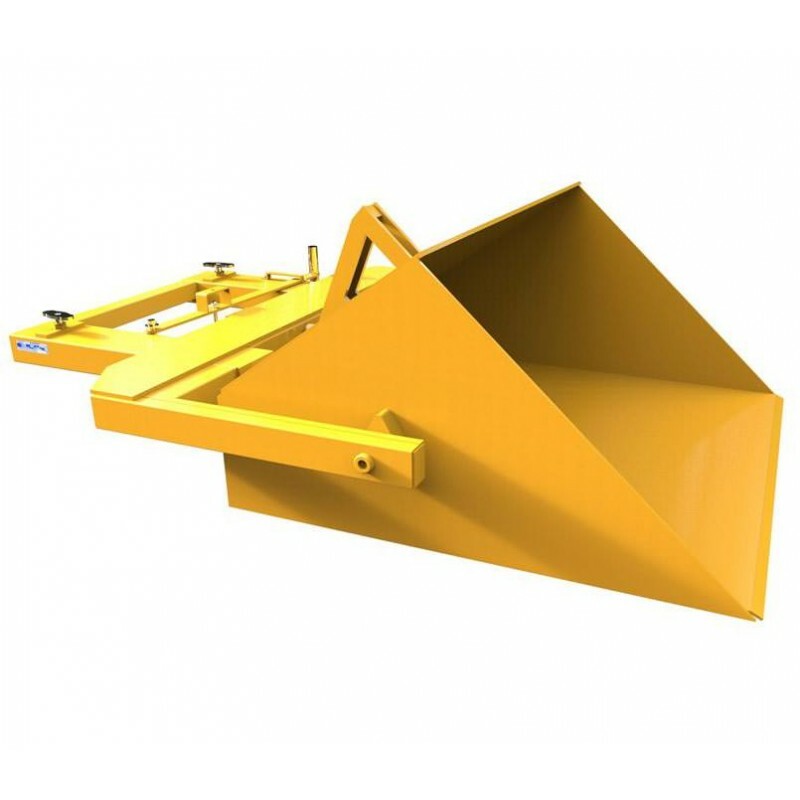 The long reach of this Multiscoop allows discharge of materials into the centre of a lorry, whilst the small tipping arc, makes the scoop perfect for discharge where headroom is confined. Manufactured from robust and durable heavy duty thick steel and with simple mechanical operation incorporating an easy to release tipping handle, our calibrated Multiscoop is the perfect choice for many of our customers when it comes point of sale measurement and loading of loose material. 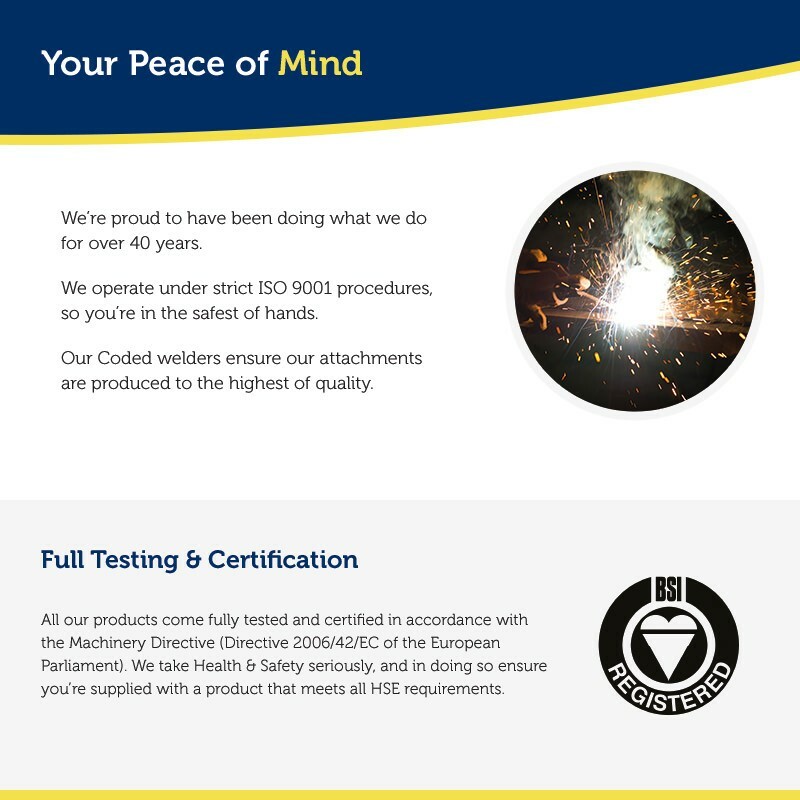 Large 'T' screw retention ensures the forklift bucket is securely fastened to the lift truck, and like all our forklift attachments, comes supplied fully tested and certified for compliance with the latest Health & Safety Regulations.